Update: The Freedom Body Challenge starts 4/23/19. To enter, take a before picture and measure your waist and hips. You can train on your own using my new cardio freedom workouts, or come to class at Sol-Y-Breath. Entry will be by e-mail: catherine@cardiofreedom.com and everyone who enters will get the chance to vote. Entry will consist of before and after photo, inches lost, and essay on on how you transformed by limiting sugar, grains, and cardio. Prizes for the most inspiring transformation: 1st place: $250, second place: $100. E-mail me: catherine@cardiofreedom.com with any questions. Here is a sample of the kind of training we will be doing for the challenge. Einstein once said that solutions should be as simple as possible, but no simpler. How can you create an effective food and fitness strategy that is simple enough to stick to? My experience with my students, personal training clients, and readers is that simplicity in food and fitness makes it easier to stick to our goals. I have been following a low carbohydrate nutrition strategy for years now, but the world of low carb has grown fast since I first did the Atkins Diet years ago. Keto, Carnivore, Paleo, Whole 30, and my Sugar Freedom program all limit sugar and processed carbohydrates, and it can be hard to know which one to choose. The Freedom 14 can help. The key is to pick the foundational foods that nourish and satisfy you without over stimulating your appetite, or promoting fat storage. There are three macro nutrients that make up most food plans: Proteins, Fats, and Carbohydrates. Your freedom foods will come from those categories. Let’s start with a list of protein foods. Finally we choose our carbohydrates: mine are all vegetables that grow above the ground. One week after the the finish of the Freedom 14, we will start the Freedom Body Challenge: a 6 week transformation program that will combine our freedom foods with intervals, resistance exercise, and restorative movement with the goal of improving fitness, form, and shape. That challenge will run from April 23rd to June 4th with a $250 prize for the most inspiring transformation. There will be more details on how to enter coming soon. 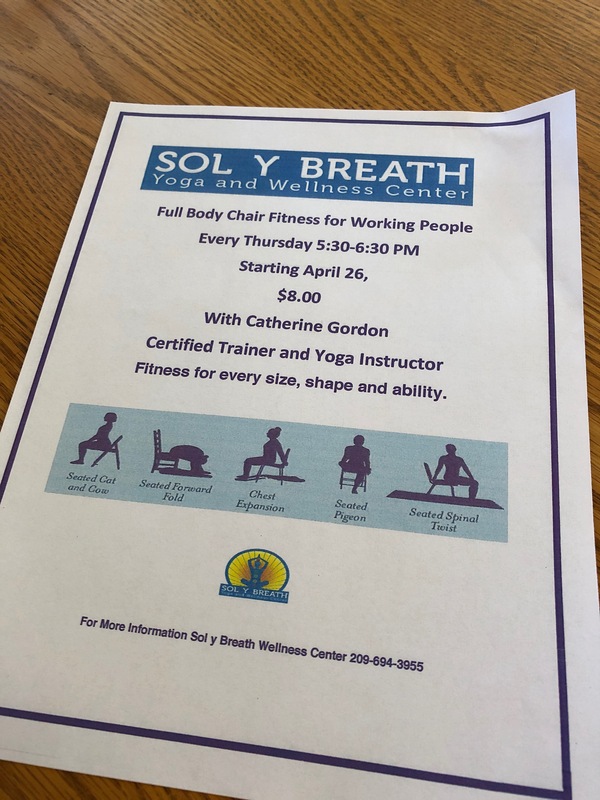 In the meantime, I hope to see you in class at Sol-Y-Breath every Tuesday and Thursday at 8AM, and every Thursday at 5:30PM. 14709 Mono Way in Sonora. For a healthy, happy Summer I want to invite you to practice what you love, especially when it comes to movement. Whether you are lifting, dancing, doing yoga, or my current favorite, playing with your dogs, I hope you will find enjoyment in everything you do this Summer. I know that it takes discipline to make healthy choices, so I want to invite you to use most of your will power in the kitchen, while you have more fun with your fitness. In my classes and training sessions, I will be offering ways to connect the way we train to the activities we enjoy. Balance, strength, and flexibility give us the freedom to live life to the fullest. 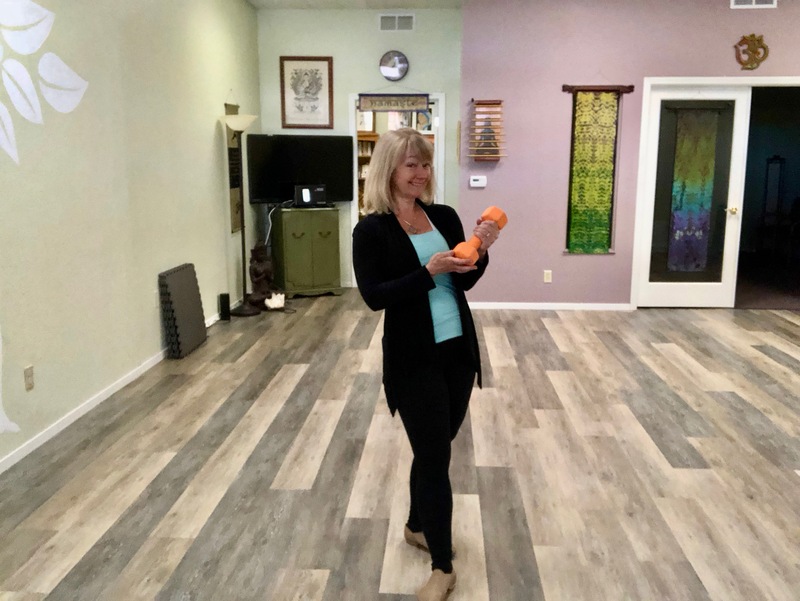 Whether you book a one-on one session, come to the morning Strength Plus class, or take a gentle approach with Chair Yoga Fitness, I want to encourage you to enjoy your fitness journey. Every Tuesday and Thursday at 8AM: Strength Plus. This class includes warm up, intervals, resistance, dance based movement for balance and co-ordination, plus yoga inspired cool down. Every Thursday at 5:30PM: Chair Yoga Fitness. This class is for anyone with balance, knee, of back issues who wants a class that improves strength, flexibility, balance, and well being with a chair for support. Note that this class incorporates light to moderate weights, and the level of difficulty is tailored to your needs. I am not a food addict. The term “Food Addict,” is too broad because there are many foods I can eat in normal, sensible amounts. I am not a sugar addict. The term, “Sugar Addict,” is too narrow because wheat, rice, oats, and all other grains I have tried to eat make me binge until I can’t eat anymore. When I eat foods that turn to glucose in my body, the eating madness takes over, and I gorge until I finally collapse into bed and sleep it off. In the morning my head, joints, and muscles ache. My hands and lips are swollen, and I feel so desperately sad that I don’t want to go on. The self loathing used to drive me to eat more of the foods that bring me momentary euphoria: the sweets and starches that drive my mania. Back in 2008, I went on a whole food version of the Atkins Diet. After just a few days, my appetite normalized, and I felt like I was back in control of my eating. I would experiment with fruit, oat bran, and sprouted grains, and the binges would come roaring back. I learned not to try to re-introduce the foods that made me gorge, and I added moderate intermittent fasting. I learned to finish eating by one or two o’clock in the afternoon. 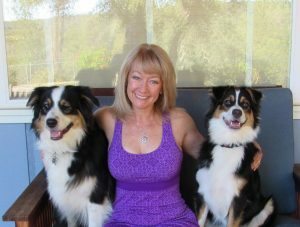 I wouldn’t have breakfast until 16 hours later, and this is how I discovered the freedom of living in Nutritional Ketosis. In 2013, I wrote the e-program, “Sugar Freedom.” Over the past 5 years, I have become aware that I need to be free of more than sugar in order to stay in nutritional ketosis. When I am in N.K. I feel alive and I thrive. I don’t get the hit and the euphoria that I get from glucose producing foods, but I do get reliable energy, and a steady kind of optimism that allows me to be a reasonably sane wife, mother, and worker. Yesterday, I went shopping in town with my son. I had eaten my ketogenic breakfast at 7AM. By 2PM I was only mildly hungry, but we went to Chipotle for lunch, and I ordered a salad. I foolishly used some of the dressing that came with it instead of bringing my own. The dressing has honey in it, and I am still paying the price for eating it as I write this at 8:30 the next morning. One very good thing, is that the terrible eating episode that I went through afterward finally drove me to find a new word, a true word for what I experience when I eat foods that contain sugar or grain. I experience Glucomania. I am a Glucomaniac, and I can only be free of this madness when I don’t eat sugar or grain. Author CatherinePosted on June 16, 2018 June 21, 2018 Format ChatCategories NutritionTags glucose addiction, ketogenic dietLeave a comment on I am not a food addict. It’s good to get stronger safely with Catherine Best Gordon ACE-CPT: warm up, resistance training, and dance-based balance development. We finish with a gentle yoga sequence and relaxation. 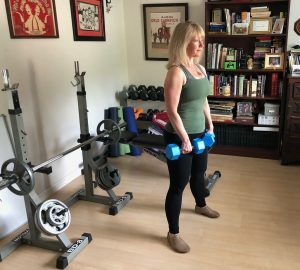 Featuring Catherine’s new 8X5 rep technique to help you get stronger fast while maintaining safety and excellent form. Gain strength and energy for the day ahead. There is plenty of parking up close at 14709 Mono Way. The studio is in the same shopping center as Sears. Cash, checks, or credit cards accepted. Chair Yoga Fitness every Thursday at 5:30PM $8: For anyone with knee, back, shoulder, or balance issues. The chair class includes warm up, resistance training, and dance based balance development. We finish with a gentle chair yoga sequence and guided meditation. Leave the workday behind with a total fitness practice that is kind to your body. We start the Freedom 14 challenge on May 29th, the day after Memorial Day, and we finish on June 12th. You can take the challenge by coming to my classes at the Dome. Simply click omg “Class Schedule,” above for information. Good news: I am having Summer Sale on my group classes: $8 per class or a 6 class card for $40. If you can’t make it to class, I am designing 14 day programs, complete with a photo exercise demonstration guide and nutrition plan for $50. E-mail me: 9catherine9@gmail.com for more information. Exercise example: The Romanian Deadlift. Catherine Gordon ACE-CPT announces Spring fitness classes you can join now. “Train With Catherine,” every Monday at 5:15PM, and Tuesdays and Thursdays at 8AM at TCAA Dance at the Dome: 251 B. Baretta Street. 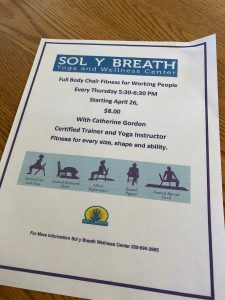 “Chair Total Fitness,” every Thursday at Sol Y Breath: 14709 Mono Way. I am delighted that Tully Baker of Sol-Y-Breath has invited me to create this class for her studio. It begins with a very gentle warmup to connect mind and body. Then we do our resistance training with light weights so that you can learn excellent form within your proper range of motion. This is followed by Chair Intervals. Yes, you really can do interval training while seated. Then enjoy learning some dance based movement to fun music. Next we move into the restorative phase with a very gentle seated yoga flow, and we close with a gratitude meditation. This class has been developed in accordance with the guidelines of my ACE Mind/Body Specialist Certification to help you develop confidence, strength, and flexibility in a safe supportive atmosphere. On holidays, I stay away from sugar and grains, but I do enjoy nuts, cheese, and my chocolate mousse that is made from avocado and unsweetened coco. As a result, I do get a little bit puffy the next day, and the scale usually shows a gain. Eat right, and do resistance training to get back on track. On the day after I, “Eat up,” I always make sure that I train, and I give my clients the same advice. There is some evidence that increasing the energy you take in once every 7 to 10 days can keep your body from adapting to to an energy deficit. If you train after this “Re-Feed,” there is a good chance that the energy surplus can be used to build muscle instead of getting stored as fat. Yes, I’m a little puffy, but I’m going to lift anyway. It can be hard enough getting into the gym when you’re feeling good about your body, but it’s a bit of a challenge to overcome the temptation to blow off the gym until the bloat goes away. Please: get in there anyway! Of course, another solution is to train at home. You can get excellent results with just a few pieces of equipment. Here is a training session that only requires a pair of 10 pound, and a pair of five pound dumb bells. Do these resistance exercises as a circuit for a total of 3 circuits. If you need something even more challenging, may I suggest the the program that I use to make sure that I keep progressing? It’s called the Venus Factor program and I followed it a few years ago with fantastic results. I have a tendency to avoid the exercises that aren’t my favorites, and VF solves that problem. You can find the entire program at this link: ==>Click Here<==. Stay on track with your nutrition, get your training done three times per week, and expect a beautiful Spring. Do your Besties: a new way to do interval training that you will enjoy. If you are doing the Spring Training Challenge, you will need to be training at home, even if you can make it to my classes at Dance at the Dome. You will be weight training three times per week, and these intervals should be done on two other days per week for 11 minutes. Evidence shows that a session this long has powerful health benefits. You can also do these as a warm up: just do 4 rounds. This beginner session consists of ten reps of Stick ups followed by 10 seconds of rest, ten reps of squats followed by ten seconds of rest, 10 reps of cross crawls, followed by 10 seconds of rest, 10 reps of total body extensions, followed by 10 seconds of rest. Do for rounds as a warm up or repeat for 11 minutes as a training session on days when you don’t lift weights. E-mail me: 9catherine9@gmail.com with any questions, and don’t forget to subscribe to my YouTube channel when you watch the video. Catherine’s Spring Training Challenge Starts 3/20/2018. In class or on-line. I am delighted to announce that the Spring Transformation Challenge: Train For Joy, will begin on March 20th. The challenge will feature Sugar Freedom, and my Positive Training Program. The Sugar Freedom method encourages you to find your most wholesome foods, and I created the T.E.A.M. technique to teach you how to train for the life you love. The challenge lasts 4 weeks, and there are two $125.00 prizes for the most inspiring transformations. E-mail me: 9catherine9@gmail.com for details or click on “class schedule” above. Discover the “Best Practices” to lose fat, and never gain it back. 4 Weeks of Proven Nutrition, Training, and Support. Plus: 2 $125.00 cash prizes for the most inspiring transformations. Cost: $50. Location: in class at TCAA: Dance at the Dome or on-line. Do you need a simple exercise routine for beginners? Here is a warm up and a simple weightlifting program for you. Don’t be afraid to start lifting weights. One of my biggest fears when I started resistance training was that I would look foolish in the gym. 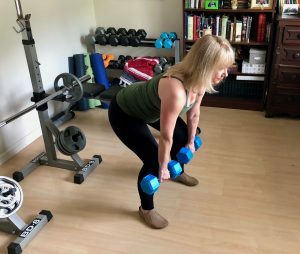 I’m 5’1″ so many of the machines are hard to adjust to my height, and I didn’t know very many dumb-bell exercises, so it was hard to get good results. That’s where a Certified Personal Trainer can help. I learned from Craig Ballantyne, John Barban, Jennifer Nicole Lee, and more by searching for programs on-line. I was able to start lifting at home with their programs, and when I switched to the gym, I knew what to do in order to get a safe, effective workout. Today, I invite you to learn from me, and get started with these exercises. I designed this program for a small group class that I just started teaching, and they asked me to to post it on-line so that they know what to do at home, so thanks students! Start with a warm up of 8 Stick ups, 8 Prisoner Squats, and 8 Cross Crawls. Repeat. Super sets: do 8 reps of each pair of exercises. Do each pair three times. Super Set #1: Chest Press and Glute Raise. Super Set #2: Bird Dog and Double Tricep extension. Follow along with the video to learn how. Learn proper form and technique before you increase the weight. By using good form, and contracting your muscles, you can get excellent results with light weights. That’s one of the wonderful things about being a beginner. With patience and persistence, you will get stronger, more confident, and you will train safely. 2/1/2018: Here is the latest “Homework” video. 10 Squats, 10 Romanian Deadlifts, 10 Overhead Press, 10 Rows per side, 10 Curls. Do all exercises as a circuit, and repeat 2 times for a total of 3 circuits. Remember to check with your health care provider before staring a new exercise program. E-mail me: catherine@sugarfreedom.com if you need a custom program.